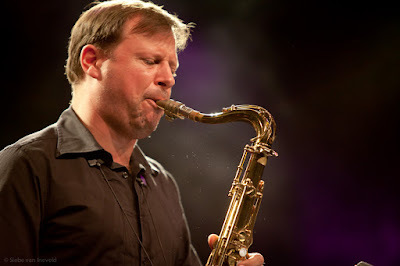 Brighter Sound has announced the second artist to be featured in their Jazz Director series - the incomparable Chris Potter. They are on the look out for 10 professional musicians to form the 'Inner City Ensemble' that will work with Chris, rehearsing and performing specially written works including arrangements of the music from his 2015 ECM release Imaginary Cities. The project runs from 9th April until 16th April including rehearsals in Manchester and performances 13th - 16th. This is a professional engagement and musicians will receive a fee plus travel and accommodation. The deadline for applications is February 26th 2017. Successful applicants will be informed by March 6th.